Photoxor Photography Tools: New release, Photoxor C1 Version 1.3! Now with GPS location tracking, show your track on map, display your own locations of interest on map! New release, Photoxor C1 Version 1.3! 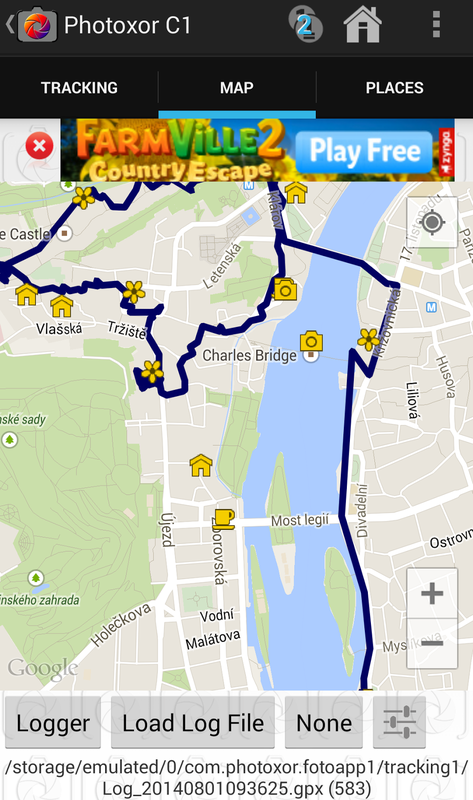 Now with GPS location tracking, show your track on map, display your own locations of interest on map! The new Photoxor C1 Version 1.3 is available! 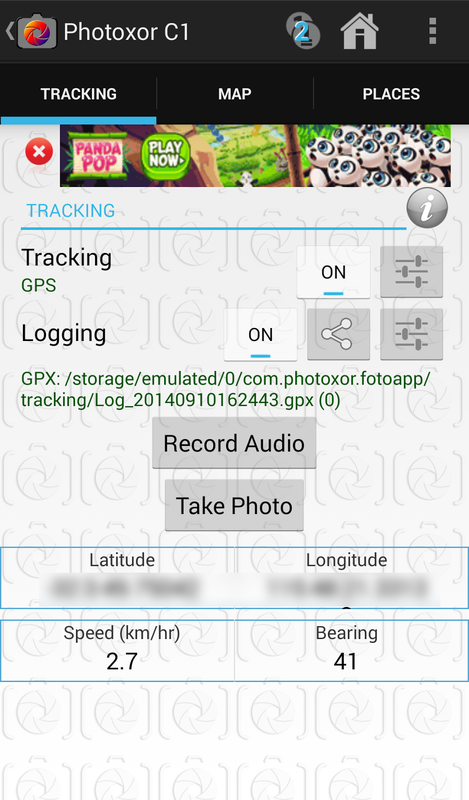 And now with GPS location tracking integrated as part of the photography calculation tools! GPS: Uses the built-in GPS receiver. This is most accurate, but also consumes most power. Network: Uses information from the network cells, which requires less power, but is less accurate as well. Passive: This mode does not use any addition power, but receives location information only when another application on your device requests it. Now switch on 'Logging'; this will record your travel path to either a GPX or KML file. You might want to click the Settings icon to configure some map presentation aspects. Logger: Show the currently tracked path (from TRACKING tab). Load Log File: Show the path from a previously recorded tracking. None: Don't show any path; this option is useful to get a "clean" map. The third tab is PLACES, which allows you to load places of your interest from a KML file. Use a tool like Google Earth to create a list of your favorite places and save them as a KML file. Transfer this file onto your device and load into Photoxor C1 using 'Load KML'. Now press On Map and these locations will be shown on your map; that are the yellow icons displayed on the map screen above! On your PLACES screen click one of the locations and the map screen will be shown and focused on this place.